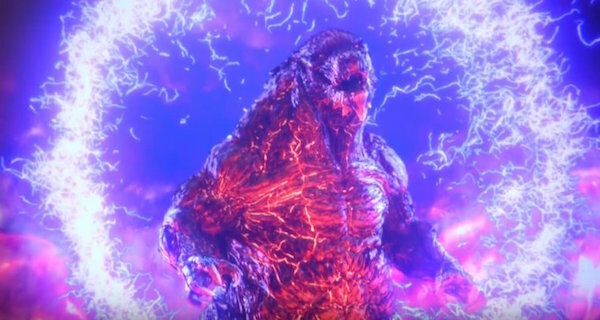 Godzilla: City on the Edge of Battle Trailer Finally Released! 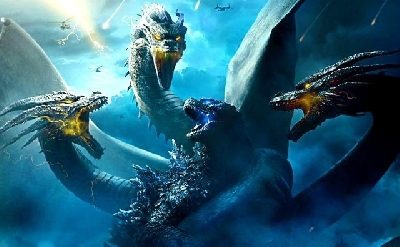 With less than a month before Godzilla: City on the Edge of Battle opens in Japanese theaters, Toho has finally released the first trailer for the Planet of the Monsters sequel. 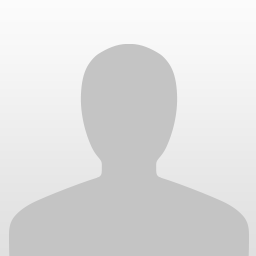 Like the first film, the theme song titled "The Sky Falls" is by XAI. 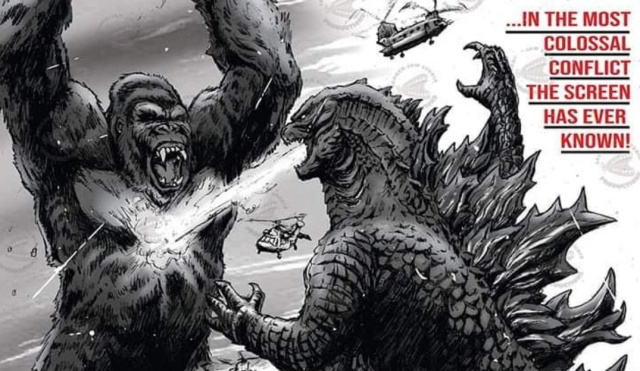 The lack of theatrical promotion seems to indicate that City on the Edge of Battle will also see a smaller theatrical release and that Toho intends to put most of its focus on the pending Netflix release. The film will hit Japanese theaters May 18th, 2018. What do you think of the new trailer for the second anime film? Let us know in the comments below. 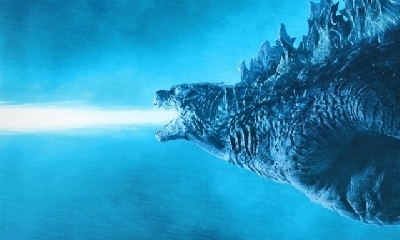 20 Fan responses to Godzilla: City on the Edge of Battle Trailer Finally Released! Man..... the visual spectacle alone looks like it'll make the film worth it. 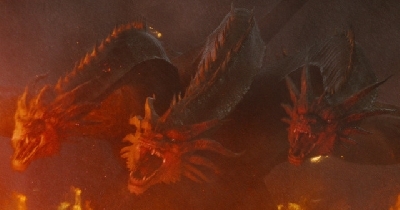 Also, that last shot looks like Godzilla Earth got blasted with some super mega weapon that vaporized everything EXCEPT him, and even he's still lit up like molten metal. Looks awesome. Can't wait for the actual film to come out. I like how the atomic breath has been upgraded once again. It seems that the beam is now able to split up and attack multiple targets at once. I'm also digging the upgraded mechs. Looks like the nanometal will be used on more than just MechaGodzilla. I'm not sure if that's the atomic breath splitting or actually Mechagodzilla's armor deflecting it in several directions after being struck by it. That's also a good guess. That's probably more likely to be honest. Looks cool! But the mouth animation looks kinda off for some reason. Maybe is just me. It looks great! cant wait! It seems as though Mechagodzilla itself won't be seeing battle, at least not immediately. I mean, the damned mech's barely much more than a head and a frame by the time Haruo's group finds its vault. I don't know if the lack of MechaGodzilla in this trailer is an indication of its participation in battle or the film overall. Seems more like the trailer is just cut that way to reserve it. 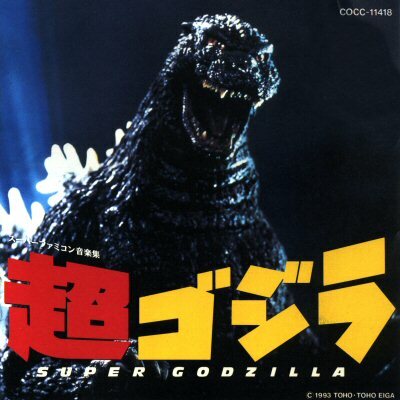 It's not Mechagodzilla's presence that I'm talking about. In the scene where he's presumably uncovered, he's literally just the head and a skeletal frame; the Houtua tribe seem to have been scrapping his nanometal for a LONG time. I just realized I forgot to mention something: No spoilers. 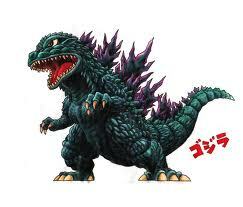 I don't think there's any chance of Mechagodzilla not seeing action in the movie. 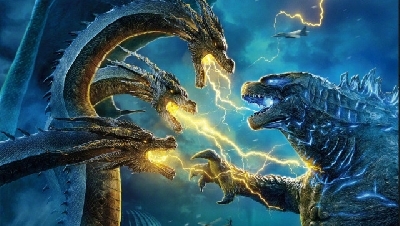 Toho themselves have stated multiple times that the film will be "the greatest battle between Godzilla and Mechagodzilla ever" and the film's tagline is even "The last hope of mankind <Mechagodzilla> is activated." 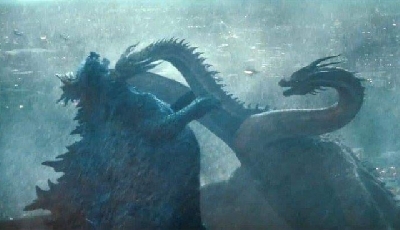 The trailer is clearly just trying not to spoil any of the fight scenes, aside from that brief shot which may be Godzilla firing his atomic breath at Mechagodzilla. I also think Mechagodzilla is intact when the characters find him, he's just buried under rubble and metal girders. Doesn't look like it to me. He's nothing BUT rubble and metal girders when the characters come upon him. I'm not saying he won't see action, just that he needs some serious reworking from the state he's in right now. 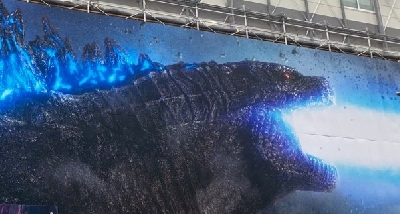 The trailer doesn't give a very long look at Mechagodzilla, but he looks to be roughly in the same state as in the teaser poster, where he's just deactivated and buried under rubble and steel girders. 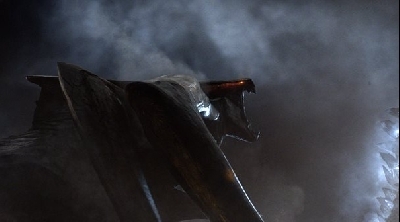 All the metal and spikes on his back are definitely still there on the poster, and I didn't see anything in the trailer to suggest he's been stripped down to just a skeletal frame. I just saw metal arches and girders on top of him much like in the poster. I JUST checked the trailer again. It looks as though we're BOTH kinda right. The room that they opened up only contained Mechagodzilla's head, unconnected to the rest of the body underneath those girders. However, we see later shots of what looks to be the rest of his body, although it's not quite attached to that disembodied head anymore; it even looks like it's in another room entirely. It's hard to tell what's attached to what, the shots go by so quickly and in the individual shots I can only see Mechagodzilla's head and back separately. They could still be attached to each other, but the way the trailer is shot never shows them in the same frame. INB4 Mechagodzilla combines akin to Revenge of the Fallen's Devastator, lmao. And that final shot is just godly.